Roy Elgin Nicholls was born in Bathurst, New South Wales in September 1894, the fourth son of Joseph and Bessie (née Logan). With service number 935, Private Nicholls was assigned to 15th Battalion, 4th Infantry Brigade, Australian Imperial Force, based at Enoggera. The 15th Infantry Battalion embarked on 22 December 1914 from Melbourne on HMAT Ceramic, for Egypt. In Cairo further training took place and AIF leaders learnt of Churchill’s plan to attack The Dardanelles. Australians took their training seriously, with great enthusiasm and won a good reputation. Roy Nicholls took part in the invasion of Gallipoli in April 1915 and was killed in action days later. Roy Nicholls was one of the many men of the 15th to lose his life. “Some of the men were unidentified – somebody’s sons,” said a chaplain in his diary. Roy Nicholls has no known grave. The Lone Pine Memorial honouring Private Roy Elgin Nicholls gives little detail, save the vague date of death – 9 or 10 May 1915. Churches of three denominations - all ‘Uniting’ now - claimed Roy Nicholls. At Albert Street Methodist Church on 2 March 1919, the Queensland Methodist Conference held a memorial service for soldiers who fought and perished in World War 1 (1914 - 1918). The order of service includes a list of names of “the men of Methodism who enlisted in Queensland and who have made the Supreme Sacrifice.” The name of Roy Elgin Nicholls is on this list. 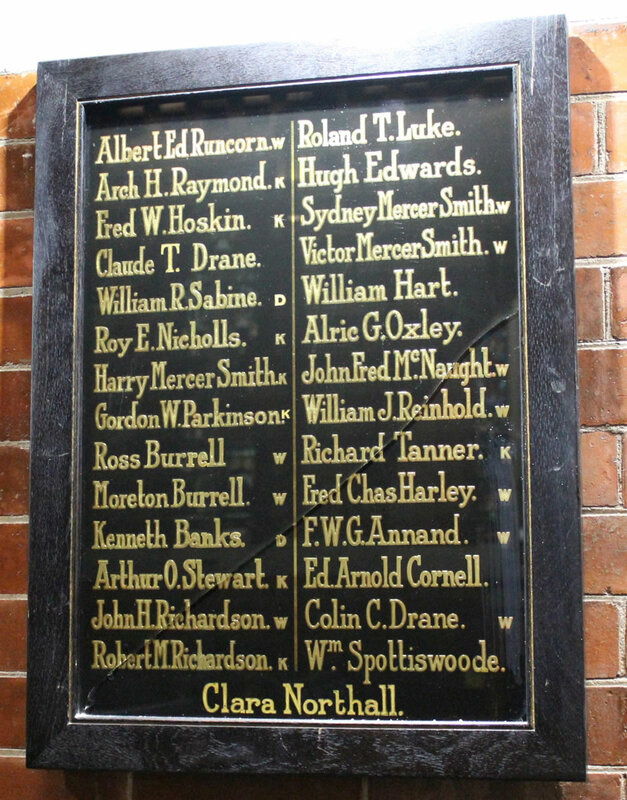 Roy’s name is also on the Wharf Street Congregational Church honour board at Saint Andrew’s. Roy himself wrote “Presbyterian” for his Religious Denomination on his enlistment form.